Dubai Executive MBA students and MENA alumni gather at networking event to explore entrepreneurship in the UAE. 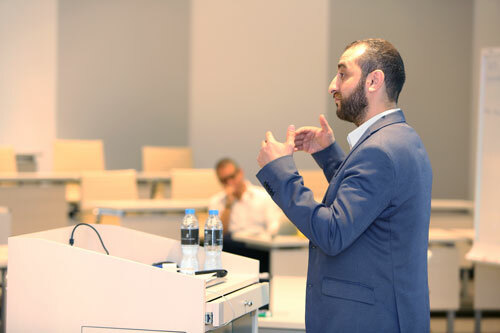 In an effort to inspire and support the next generation of entrepreneurs, City, University of London’s Dubai Centre hosted a breakfast networking session ahead of the New Venture Creation elective led by Professor Costas Andriopoulos, Professor of Management and Associate Dean for Entrepreneurship. Co-organised by City's Alumni Relations team, the event brought together students from the 2016 Dubai Executive MBA cohort and members of the MENA Alumni Entrepreneurs Club, part of the City MENA Alumni Chapter which comprises a mix of successful business owners and budding entrepreneurs. Guests enjoyed the opportunity to spend the morning exploring entrepreneurship in the UAE, and hearing local entrepreneurs share valuable insights and stories about their journey towards establishing their ventures. Entrepreneurship can be a lonely road, so it’s important to be part of a community of like-minded people who can provide support to one another and offer resources. Don’t build links, build long-lasting relationships. To do this, you’ve got to make yourself visible and create a positive first impression, then you have to establish your credibility so that people understand your value and eventually, you will gain profitability through the right business referrals. 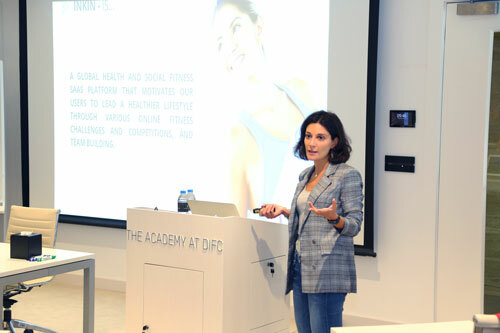 Zara Martirosyan, City alumna and founder of inKin, a social fitness platform, reflected on her entrepreneurial journey in an engaging talk, considering some of the challenges she faced and sharing key lessons she learned from her early startup days. As an entrepreneur, you need to focus on your strategic vision. Things will never be ideal, so leave your perfectionism behind and launch a minimum viable product (MVP) as soon as you can. There will always be someone out there complaining about your product - just accept it and move on. When building your dream team, there is no room for mercy which is why it is crucial to let go of people who don’t understand the struggles of your business. From learning how to refine and produce a comprehensive business plan for a new venture, to understanding venture capital finance and crowdfunding, the four-day New Venture Creation course, offered as part of the Executive MBA curriculum, gave students an overview of the skills necessary to start a scalable business. I thoroughly enjoyed learning about all the various aspects of setting up a venture – from idea generation and marketing and growth strategies, to preparing pitches and financing and valuation. My personal highlights include the guest speakers’ presentations and the opportunity to deliver a pitch to an audience of venture capital investors. It helped us understand how to combine the knowledge gained from previous modules such as finance, strategy, operations and marketing with the skills necessary to create a new venture. Additionally, the Professor is dynamic and energetic whose unconventional methods of explaining the course material encouraged student participation and kept the class interesting.